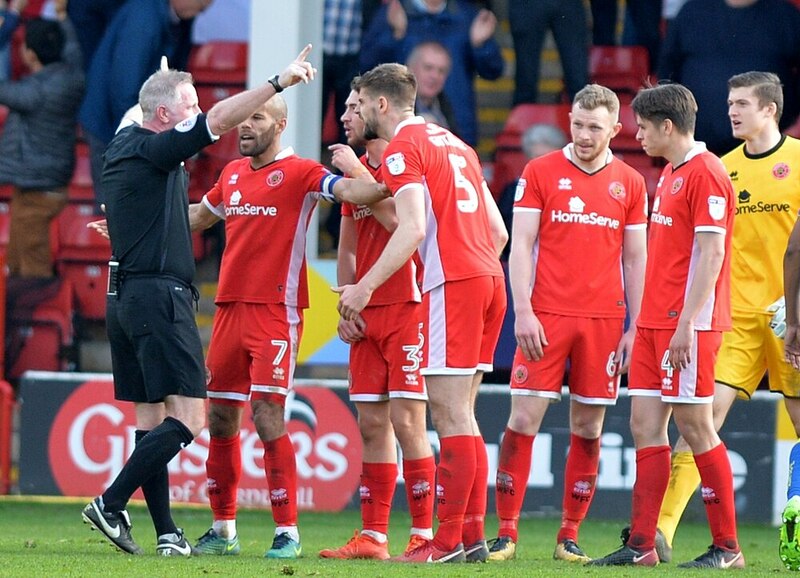 Boss Dean Keates labelled the decision to award Wimbledon a late penalty an “embarrassment” after watching Walsall let a two-goal lead slip to lose 3-2. But while the manager was left fuming with referee Mark Heywood, he also admitted his teams defending was not good enough after they snatched defeat from the jaws of victory. The Saddlers looked to be in the ascendancy at the Banks's Stadium with goals from Jack Fitzwater and Julien Ngoy giving them a 2-0 lead at the break. But a rash challenge from Nicky Devlin gave the Dons a route back into the game with Heywood having no option but to point to the spot. Lyle Taylor stepped up and saw his penalty saved but Joe Pigott was on hand to slam in the loose ball. The influential Taylor then hauled his side level with a fantastic volley following a long ball from keeper George Long. Dean Pattett then emphatically fired in from 12-yards. “In the first half, I thought we played really well. The first 15 minutes, I think that’s the best we’ve played since I’ve been here. “We got in at half-time and told them that concentration levels have to be bang at it – we knew Wimbledon would have to come for us in the situation they are in. “We’re accountable for the first two goals, there’s no doubt about that. It wasn’t good enough. We need to do better, the lads will learn from it and they will be shown it. “Nicky doesn’t need to go to ground and then young Kory has come on and got caught out (for the second goal). “But the decision for the second penalty and the third goal is an absolute embarrassment. “The referee hasn’t said anything about it. He said ‘Carry on talking to me like that and I will report you’. That’s what you get. No people skills, don’t want to talk to you. Up until the defeat against the Dons, Walsall had come through a crunch week well a victory over Bury followed by a draw at Oldham. But they now sit just three points above the relegation zone with four matches left to play. “It’s a massive blow,” Keates admitted. “At half-time we were comfortable. We had to come out in the second half, keep a clean sheet and be brave. They made a change and we didn’t deal with it. “We didn’t get the ball down, we didn’t make a pass, we got edgy and as soon as the first goal went in, we were defending for our lives. “There were periods where we got put under pressure but we didn’t make enough passes to be able to get hold of the ball and get us up the pitch. “The momentum completely changed. We need to use our heads a little bit more, be a bit more savvy if I’m honest. “We need to make passes, manage the game in certain situations, but we didn’t and we let them completely get hold of the game. “It would have been 2-2 and we would have been devastated with that after the first-half performance. But somebody’s made the headlines about themselves. “He (Taylor) is backing in. I’ve seen it on the clip already. As the ball is in mid-air, Taylor’s done what a good forward would do – and he is a good forward.